Millars were a grocers on Dublin's Thomas St who also traded in wines and spirits. They often bottled local whiskey under their own black label bottling but when it came to Jameson whiskey they could have possibly been contractually obliged to use the labels supplied to them by John Jameson ans Son. This is a 10 year old with some minor damage to the label as pictured. The closure is a screwcap and the fill level is good. 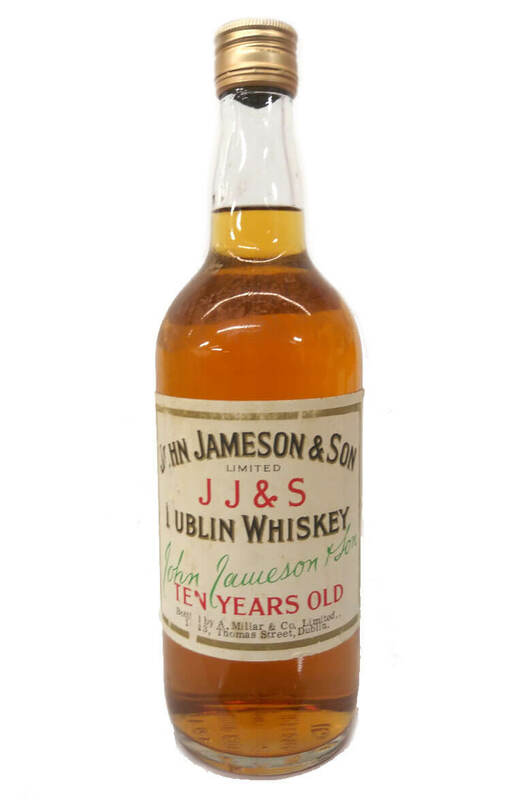 This is an interesting old John Jameson whiskey that has been bottled by Limerick trader P O'Mal..